Public Sector: (i) Indian Institute of Science, Bangalore, Karnataka; (ii) Indian Institute of Technology, Bombay, Maharashtra; and (iii) Indian Institute of Technology, Delhi. Private Sector: (i) Jio Institute (Reliance Foundation), Pune under Green Field Category; (ii) Birla Institute of Technology & Sciences, Pilani, Rajasthan; and (iii) Manipal Academy of Higher Education, Manipal, Karnataka. The HRD Minister, Shri Prakash Javadekar has said that this is a landmark decision and goes far beyond graded autonomy. It will ensure complete autonomy to the selected institutions and facilitate them to grow more rapidly. 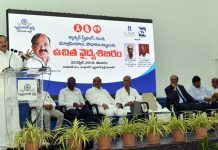 At the same time, they will get more opportunity to scale up their operations with more skills and quality improvement so that they become World Class Institutions in the field of education, the Minister added. It is expected that the above selected Institutions will come up in top 500 of the world ranking in 10 years and in top 100 of the world ranking eventually overtime. To achieve the top world ranking, these Institutions shall be provided with greater autonomy to admit foreign students up to 30% of admitted students; to recruit foreign faculty upto 25% of faculty strength; to offer online courses upto 20% of its programmes; to enter into academic collaboration with top 500 in the world ranking Institutions without permission of UGC; free to fix and charge fees from foreign students without restriction; flexibility of course structure in terms of number of credit hours and years to take a degree; complete flexibility in fixing of curriculum and syllabus, among others. The Finance Minister in his budget speech 2016 had announced that “It is our commitment to empower Higher Educational Institutions to help them become world class teaching and research institutions. An enabling regulatory architecture will be provided to ten public and ten private institutions to emerge as world-class Teaching and Research Institutions. This will enhance affordable access to high quality education for ordinary Indians. A detailed scheme will be formulated”. Accordingly, the Government / UGC approved the scheme of providing Regulatory Architecture for setting up / upgrading of 20 Institutions (10 from public sector & 10 from private sector) as world class teaching and research institutions called as ‘Institutions of Eminence’. The Regulatory Architecture has been provided in the form of UGC (Declaration of Government Institutions as Institutions of Eminence) Guidelines, 2017 for public Institutions and UGC (Institutions of Eminence Deemed to be Universities) Regulations, 2017 for private Institutions. Under this scheme, 114 applications (74 from public sector & 40 from private sector) were received in the Ministry for selection of IoEs. In order to select the Institutions as IoEs, an Empowered Expert Committee (EEC) comprising of Shri N. Gopalaswami (Chairman), Prof. Tarun Khanna, Prof. Pritam Singh & Smt. Renu Khatore was formed. All the Institutions/sponsoring organizations have made presentations before the EEC during 2nd April, 2018 to 8th May, 2018. The Committee in its report recommended selection of only 6 institutions (3 from public sector and 3 from private sector) as Institutions of Eminence.